Fast and really, really angry . 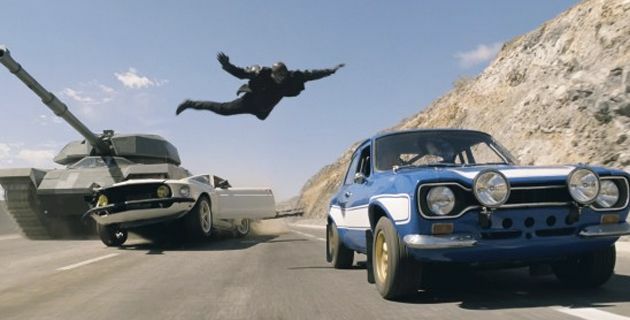 . .
We recently watched Fast and Furious 6. I’m not a F&F fan. Number 6 was the first one I’ve watched all the way through. Needless to say I didn’t know who the characters were, what the storyline was, or the back history. Because it was F&F I didn’t need to know who the characters were, what the storyline was, or the back history. The chick who died in some other movie but in #6 we all found out she was alive? What is with the chronic constipated look? She looks like she’s trying to decide between Mirilax or ExLax. I can see why the movie (and series of movies) they might be popular among people who are either not accustomed to thinking very hard or have day jobs that require excruciating thinking, logic, and reasoning skills and just really , really need a break from all of that. Besides, what other movie do you get to see people live out your fantasy of being a flying squirrel? “It’s about family.” Riveting dialogue. 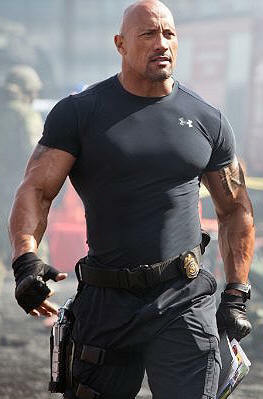 Perhaps The Rock can spend a bit more time taking acting lessons and less time working on his bra size.